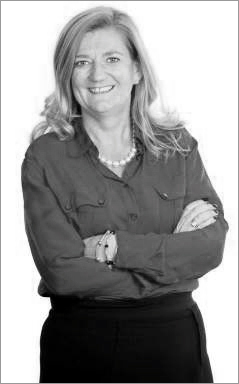 Lorna Davidson is CEO of The Mothership Group, a group of entrepreneurs who are harnessing technology to incubate and launch innovation and disruptive propositions, all focussed around intelligent selling to make a noticeable change in the sector they work in. The Group has also launched a charity called The Mothership Foundation, which helps provide investment funding for individuals who would not get any otherwise. Q: When did you become conscious that work life balance was an issue for you? A: When I was a married, working mother with children working in the corporate world. The lack of work-life balance was the reason I made the decision to go it on my own and founded my first business, a field marketing agency called Tactical Solutions that I started in my garden shed. I needed more flexibility and balance in my life. This decision paid off and I am happy to say that I have been very fortunate and made every parent evening, school play and rugby match. Q: Is it easier for women with children to step in and be assertive about work life balance than it is for single women? A: My experience is that people are much more assertive when it comes to their work/life balance requirements than ever before, whether or not they are parents. At the Mothership Group my sales director doesn’t have children, but she has a very hectic social life, likes to travel, enjoys dining out and has a very good quality of life. And she balances that in the same way that a woman with children does. Equally, we have men who don’t have children, but have structured their lives to fit in their outside interests. One of our MDs has place in Lake District and he works there at least one day a week, so that he can enjoy the outdoors and his love of walking. But I do think that working mothers still suffer from the guilt complex that comes from wanting to do both a great job at work and as well as be the perfect mother at home – it can pull on the old heart strings. Q: How did you instil a culture of work/life balance into the business? A: Whilst I was running Tactical Solutions I realised that it‘s really all about honouring people’s lifestyle choices. So when I put the senior management team in place for the Mothership Group we created a mood board based on what each of them wanted work to feel like. Based on their input the cultural framework for the business was created. For us work/life balance is just one facet of a wider cultural landscape, which includes the importance of being fair and doing the right thing. Q: In your Academy Group (Group 18, chaired by Peter Hills), are you unusual in having cracked the work life balance equilibrium? A: That’s an interesting question. I am a returning member after being away for five years. I don’t really see much change in that we all still have to devote time and focus to staying fit and healthy and balancing our life-style choices. I think that as leaders and managers, it’s always going to be a balancing act. Q: What has been the hardest thing for you when it comes to work life balance? A: The thing I personally struggle with is saying ‘No’ to people. I do a fair amount of work with the Liverpool Chamber of Commerce where I mentor people. There are always requests to meet someone new and spend time with so and so, to the degree that it can really encroach on my life. One tactic that I have put in place is to co-ordinate my diary with colour coding. So I have a colour for ‘nice to do’ meetings and I can see very quickly how much room I have for other stuff after those. I’ve also started to delegate some meetings. We have just moved our offices to Liverpool, and the City and its people have been hugely welcoming to us and want to understand what we do. Whilst that’s really great, I have had to remind myself that it doesn’t always have to be me doing this. Q: Your business consists of a team of very senior people. Has your work life balance strategy played a part in recruiting and retaining them? Yes, definitely. When people get to a certain stage in their careers they often welcome the chance to have more freedom and flexibility with their lives. The team I work with were all keen to do something new, to be part of something that they had helped to co-create. In this business, everyone is empowered to take full ownership of their work life balance. We don’t even have holiday quotas. It’s up to the individual to decide how much or how little time that they would like to take off. This approach sets us apart as it empowers people to be responsible. I believe that when people have full sovereignty over their life choices, they can express themselves and develop their potential to the full. But to do that, they need to have reached a point of emotional and spiritual maturity in their lives, where they have the confidence to say ‘this is how I perform best and if I am not performing to the optimal I will do what is required to deliver’. Perhaps that’s why my team and I share the same moral compass, the same driving factors. So work-life balance is really part of a bigger picture. It’s not just about the practicalities of how we manage our daily lives. What it all boils down to is honouring the ability of individuals to make informed and responsible decisions about their own lives. Posted in: Innovation, Work life balance.